Bloembergen, D, Tuyls, K, Hennes, D, & Kaisers, M. (2015). 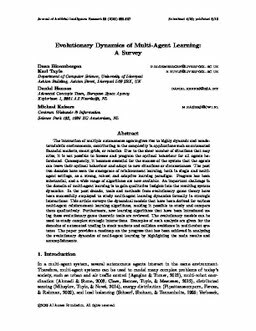 Evolutionary Dynamics of Multi-Agent Learning: A Survey. Journal of Artificial Intelligence Research, 53, 659–697.